Happy Halloween!! An end to my countdown of haunted places in the city. I hope you enjoyed finding out about some of the allegedly haunted places around this historic city. 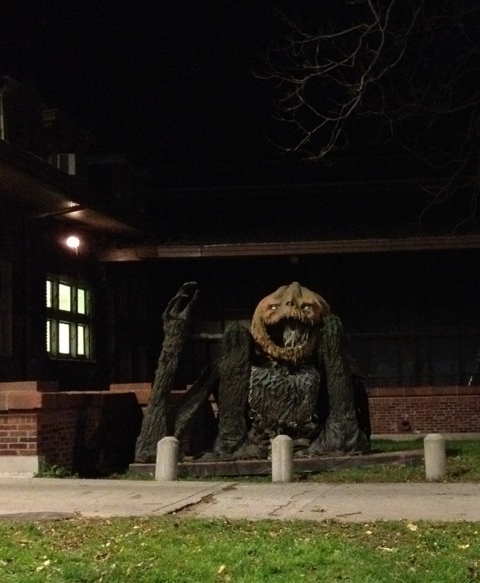 This decoration is located right outside of a little field house off the lake on Fullerton Ave. This entry was posted in Amusement, Chicago, Holiday, Life. Bookmark the permalink.